Tell the average American you’re a liberal and they’ll assume you’re on the political left. Yet, Leftists and Liberals hold different positions on key issues. Tulsa Today provides a short video to clarify the topic. 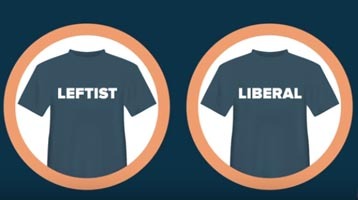 Released today from Prager University this video explains how tenets of liberalism like a belief in capitalism and free speech have more in common with conservatism than with the identity politics and racial resentment preached by the left. Agree or disagree, opinions welcome below. This entry was posted in Tulsa Speaks on September 4, 2018 by admin.